The MLPTP's Big Renovation Fundraiser goal has been reached! And because we're only taking in what we need to cover 2019, the prize drawing has been MOVED UP! The NEW prize drawing date will be TOMORROW, APRIL 13th, at 6pm EST! 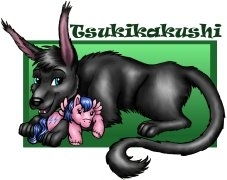 In January of this year, I became the new owner of the My Little Pony Trading Post, after being a mod here since 2005. The transfer of ownership came quite unexpectedly, and with the help of fellow long-time mods @cannibalcow, @CJFullmer, @evilbunnyfoofoo, @Gingerbread, @Natsu chan, and @Peppermint Truly, we began right away on a much-needed total update and renovation of our beloved MLPTP. Updating and managing a forum is not as easy as it sounds. The software (both the base forum and all the add-ons like the chatbox, gallery, feedback application, etc) was about a decade old, and once we did the mandatory update to the newest (safe, secure, supported) forum software, all of those individual add-on features were left unusable, not having been updated for many, many years. I have had to jump headfirst into learning how to manage, transfer, import, and update these important parts of the forum, many of which have involved hiring multiple IT professionals to help us ensure our success. I was not about to let 14 years of our history, our posts, photos, feedback and more, be lost forever. You are my friends, my pony family, and my pony home. And it is an honor to take on the role of the MLPTP's caretaker. That said, all of these things have come at a considerable cost. In order to help ease the financial burden, we are hosting a month-long fundraiser, with forum trophies and prizes to be had by those who choose to donate and help us out. Big Renovation Fundraiser PRIZES SO FAR! More donations = more prizes! First winner picks what they want, and so on! NEW! 2019 Canadian Pony Collectors Extravaganza exclusive Maple! Brand new and in VERY limited supply!! G1 Original My Pretty Pony with Box and Accessories! Comes with all you see! Ribbons are replacements but the rest came with the box! One Custom Re-Hair by @Marquita ! The pony can be a bait she has, or one you send to her! Ponies above shown as examples. Plus shoelaces and a lanyard! All NEW! Box opened but pony is sealed! Box is sealed! Pony shown loose as example. Set of 6 Loyal Subjects Retro Ponies! One custom large and baby pony magnet or ornament by @CJFullmer ! - ALL proceeds will go toward the costs associated with the hosting, software development, maintenance and domain of MLPTP.net. Any extra funds will be put toward next year's hosting costs, and so on. The MLPTP is a non-profiting organization. - Winners will have 7 days after April 13th, 2019 to contact @MustBeJewel with their shipping address. After 7 days, a substitute winner will be announced. If you are a possible winner and you will be away or unavailable during this time, please message @MustBeJewel ahead of time to make arrangements in the event that you win. - Winners will be chosen via a volunteer third party using the Random.org random number generator. - Any prize-volunteering artists will have to fulfill their work within 4 weeks, or offer a financial equivalent. - Any prize donors who are shipping must ship within 10 days of receiving their winner's information. 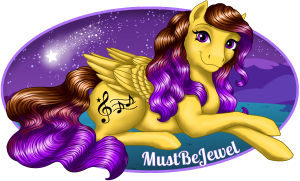 - Please feel free to contact @MustBeJewel at any time with any questions or concerns. @SturgeonQueen -- given as a RAOPK! This is a fantastic idea to raise funds for the site!! I must say the flashing rainbow goodness did it’s job and drew me in. I have things I can offer up as prizes. I just need to dig everypony out of storage/safe keeping and photograph. Thank you! The future of the TP rests on great community members like you! But we’re glad to help out. Happy to help! I will see if there is anything I can send for the prize pool. I'm not sure if it matters but my old user name is mentioned above. Hi there! Can you clarify for me which is your old and your new username, and which one you'd like to use here? I can delete the other. Thanks! Donation sent. It's been a very long time. It is a truth universally acknowledged that a woman in possession of disposable income must be in want of a pony. Hi StarFaerie, and thank you! Make sure your registered email address is up to date! Sent some $$$ your way @MustBeJewel . Congrats on getting this old forum updated; I pop on every now & then to lurk; miss my pony home but work has taken over my life. Thank you @tsukikakushi for your VERY generous donation! I'm so happy to see you around again, too! And congratulations on being the forum's first RAINBOW LEVEL SUPPORTER! Well, other than me I guess! I've just donated! This drive is awesome... and the MLPTP has been great so I'm happy to donate some money to it. Thank you for your generous contribution, Uftaki! And congratulations on being our first GOLD LEVEL supporter! With your gold supporter banner, gold trophy and gold post count ribbon you've got one of the shiniest profiles around! Oooh wow! I'm all shiny! (lol) Heh... thank you! Way to go everyone who has contributed!!! This pony community is only as great and wonderful as it is because of all our amazing members! I my pony family here! I spent quite a bit of time here many years ago. Lots of good memories, that's for sure! I just sent a donation. I'll also donate a prize of 1 rehaired pony. It can be one I have on hand, or if the winner wants to send me one to rehair, that's fine too. Try living each day as if Christ were beside you!